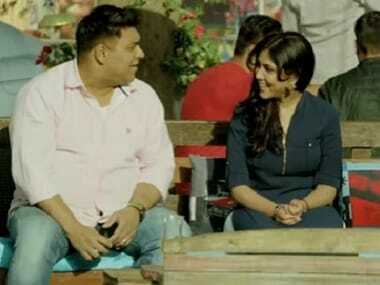 Ram Kapoor and Sakshi Tanwar are finally back with a new show, this time on the web. The duo who have worked together on Bade Acche Lagte Hain are debuting in the web series Karrle Tu Bhi Mohabbat. A still from the show. Image via Youtube. A superstar with an alcohol addiction problem seeks help from a therapist. They cannot stand each other initially but later become friends. 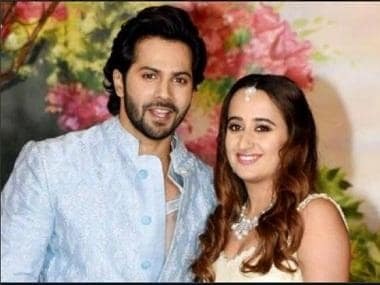 It is a lot similar to Bade Acche Lagte Hain — the duo starts out detesting each other, then the two gradually set aside their differences and become friends and fall in love. Ram plays the role of Karan Khanna, a successful alcoholic actor while Sakshi plays the role of a doctor who comes in Ram's life to get rid of his alcohol habits. Sakshi Tanwar and Ram Kapoor shared a wonderful on screen chemistry in Bade Acche Lagte Hain, and their chemistry shines in this trailer too. The web series is produced by Ekta Kapoor's ALTBalaji. This is not the only show debuting on ALTBalaji though. Other shows are Nimrat Kaur-Juhi Chawla starrer The Test Case set against the backdrop of Indian Army and Samir Soni, Dipanita Sharma and Aditi Vasudev's Once Upon A Night.